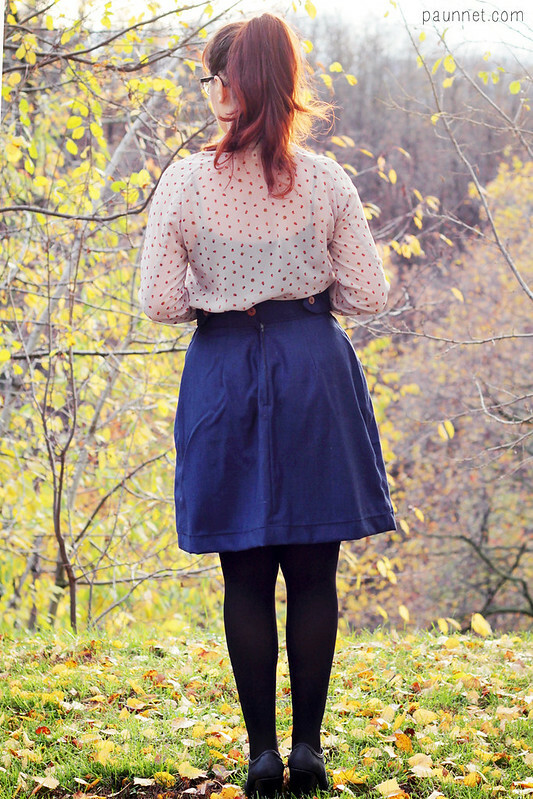 Bluegingerdoll - Vintage inspired sewing patterns, sewing tips and tricks: Peggy skirt Mania! Ahhh! Check out these two gorgeous Peggy skirts that have popped in the wild, love em! The divine yellow Peggy is by Crystal, blog: Crystal Pleats. I think i need a yellow Peggy in my life! The cute navy blue stunner is from Anna, blog: Paunnet, who is also currently holding a giveaway on her blog to win yourself a copy of the Peggy skirt pattern!! So head on over for the details on how to enter. Before you go though, enjoy these two awesome Peggy skirts!! You can also find out all the nitty gritty details about sewing up the Peggy skirt from these two gals on their blogs, woo! If you have also sewn up a Bluegingedoll pattern, i wanna see! Just upload them to the Flickr group and inspire us all or just a sticky beak at all the cool stuff being sewn up!